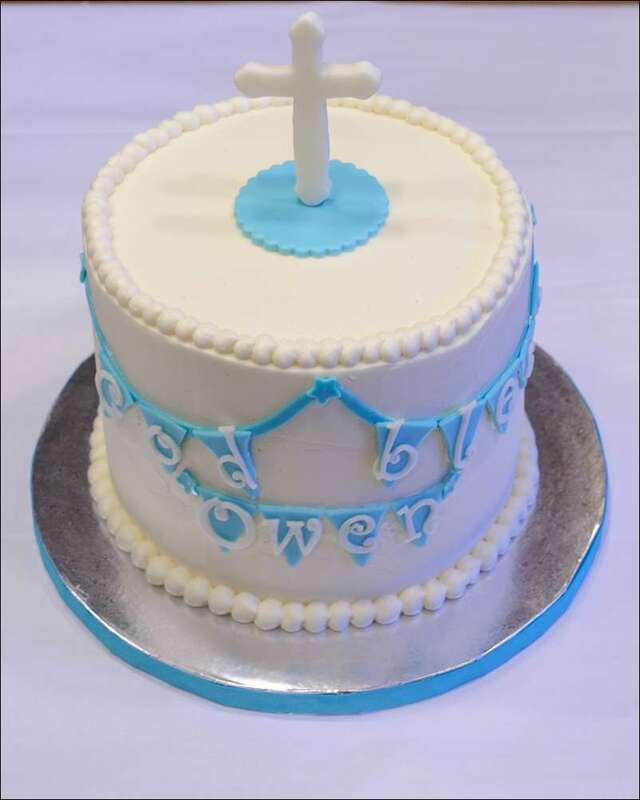 This cake I did last week for a darling boy’s baptism. 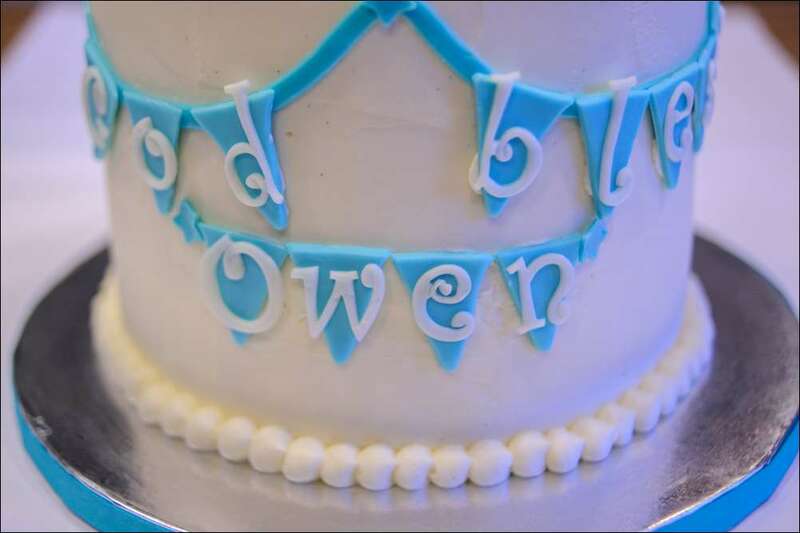 His mother wanted a clean, simple design with a cross on top and “God Bless Owen” on a banner. 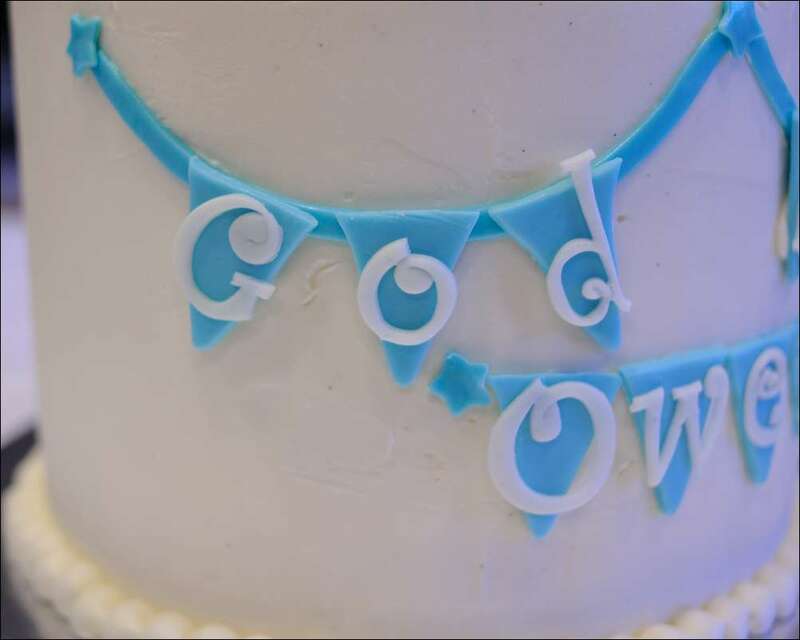 I’d made her other son Carter’s barnyard cake a few months ago, and she liked the banner idea, so we did it again on this cake. It’s a 3-layer pumpkin spice cake with vanilla mousse filling and vanilla-bean buttercream. 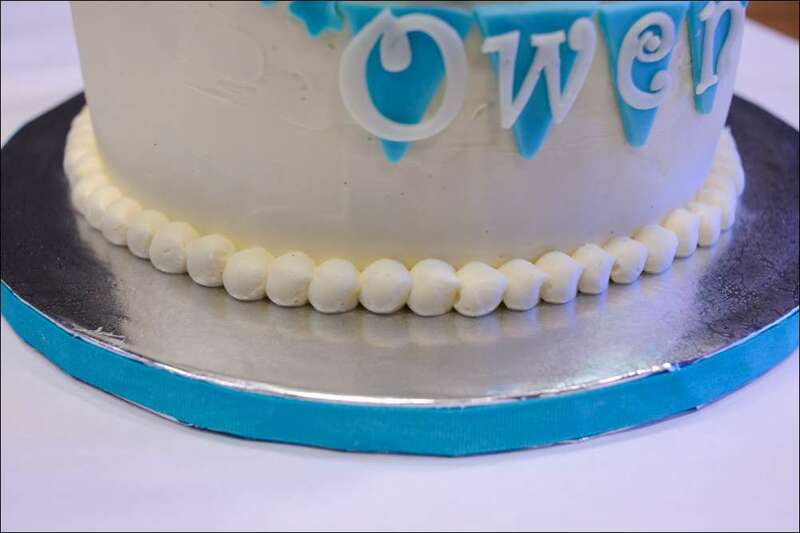 All of the details are homemade marshmallow fondant. 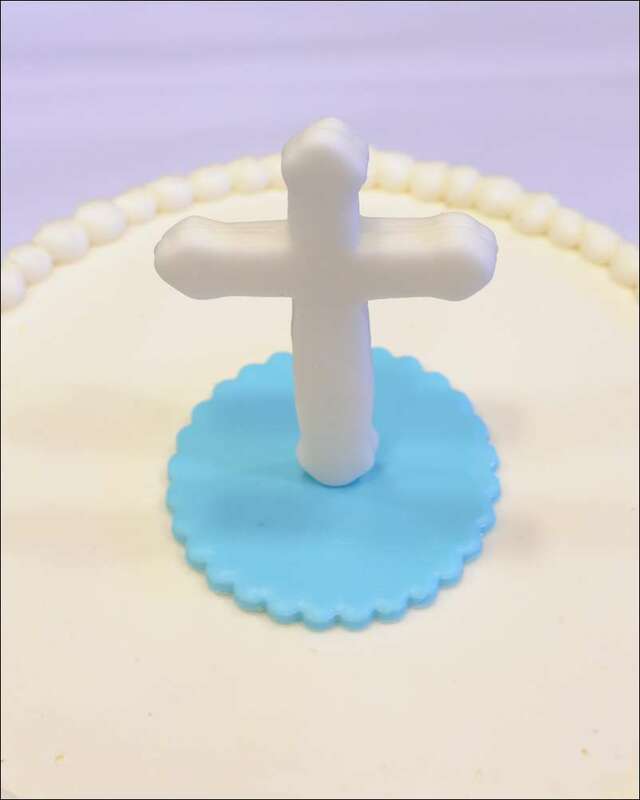 I cut the cross from fondant with a special cutter and the letters using my Tappit letter cutters. 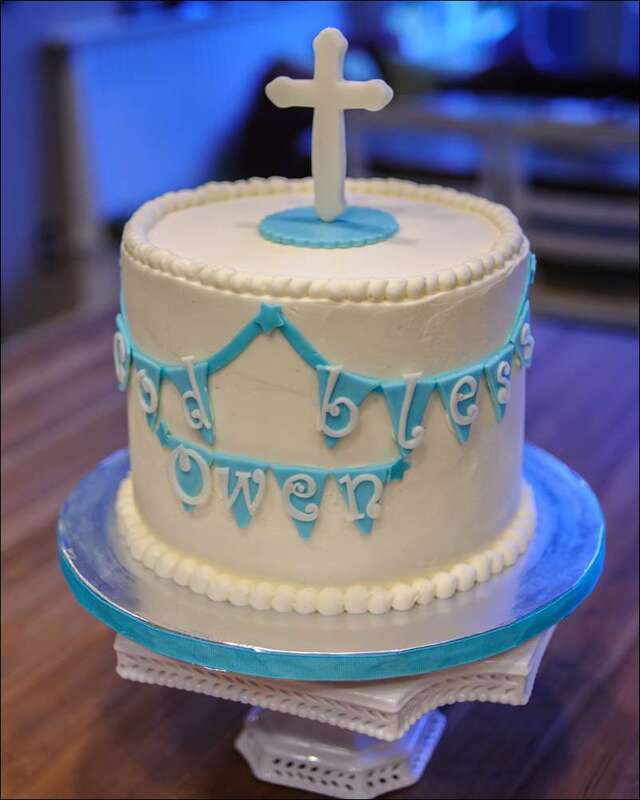 God bless you, little Owen! 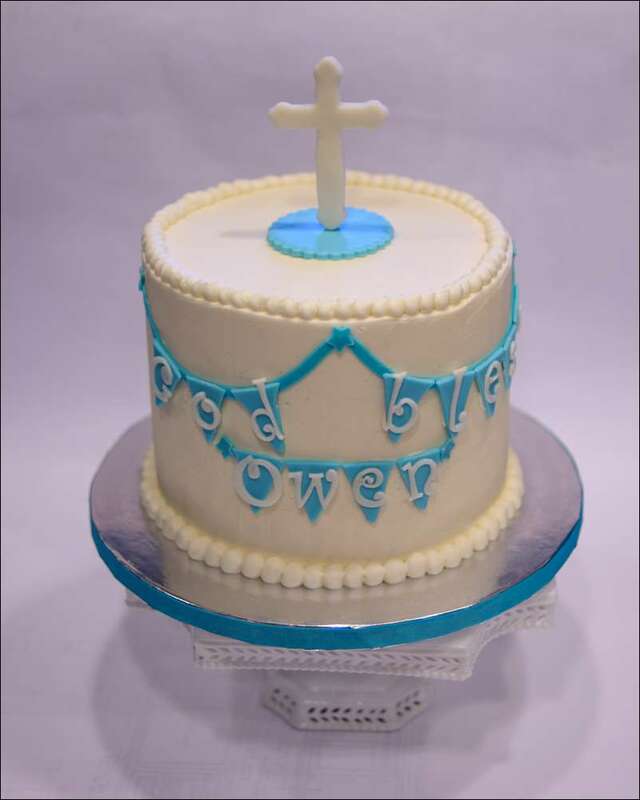 It was an honor to make your baptism cake!